Man do I want this tea cup (maybe Jeff will read this and surprise me!). I love all of Trixie Delicious' stuff. You should seriously check her out! She "reworks vintage china" in New Zealand. Gotta love that she turns something old and dated into something fresh and fun. 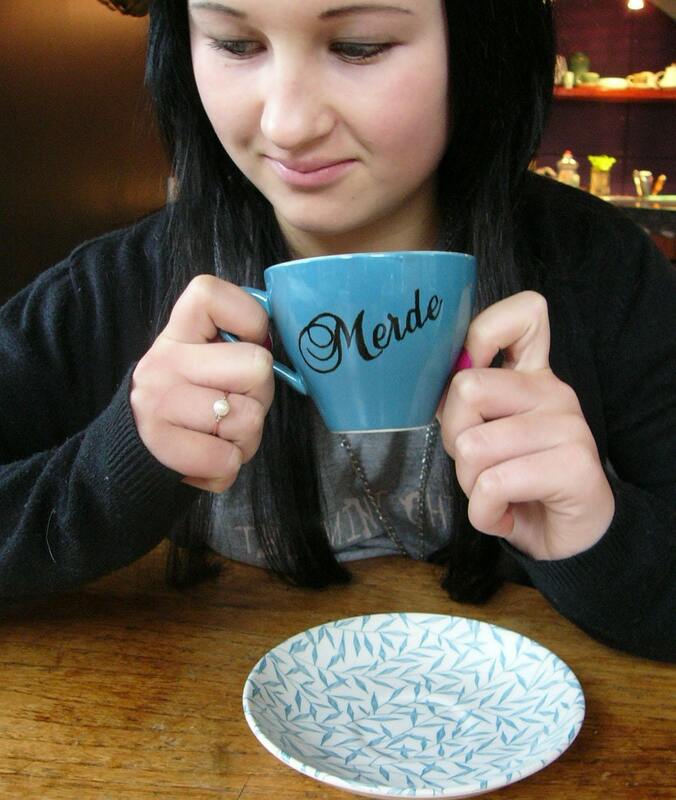 i had a french teacher who would let "merde" slip out on occasion who would love this!